With 506 votes "for", 161 "against" and 23 abstentions the European Parliament showed its teeth on March 13th by rejecting the deal for the multiannual budget of the Community for the period 2014-2020. This move was expected as the Europarliament was threatening with a veto ever since the beginning of the negotiations on the multiannual financial framework in 2011 unless the leaders accepted Strasbourg's demands for a 5% increase compared to the current framework (2007-2013) and later if it envisaged a deficit. The leaders of the EU member states have succeeded to reach a tough compromise at their second special summit on February 7-8 in Brussels when they agreed a ceiling of commitments of 960 billion euros and of payments - 908 billion euros. In order for an agreement to be reached it was necessary all member states to support the deal. The Lisbon Treaty, however, which entered into force on December 1st 2009, gives co-legislative powers of the European Parliament and it decided to take advantage of them. 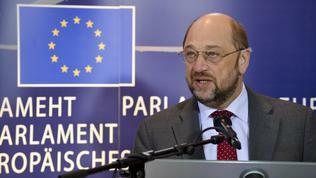 As the chief of the institution, German Socialist Martin Schulz, explained it was about the Europarliament to be taken seriously. 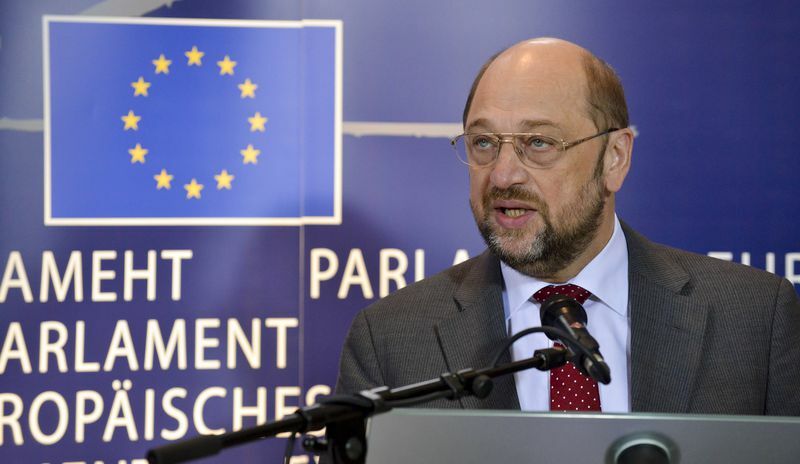 In a special statement after the voting in Strasbourg on March 13th, Mr Schulz said that the decision of the MEPs was an important step for the European democracy. It is quite normal, he explained, when the government makes a proposal for the budget in Parliament the latter to decide whether to adopt it or not. It is often and normal the Parliament to reject the first proposal, Martin Schulz believes. He defended the decision saying that the Council did not take into account the report of rapporteurs on the framework - Ivailo Kalfin (Socialists & Democrats, Bulgaria) and Reimer Böge (EPP, Germany). Later, at a separate news conference, Mr Kalfin reiterated the Parliament's position that the leaders cannot constantly increase the policies and reduce funding. 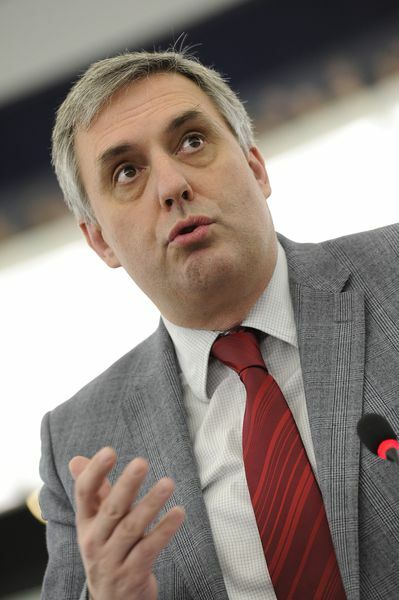 Either funding should be increased or the policies should be reduced, are the two options according to the Bulgarian MEP. He has calculated that the size of the budget until 2020 is equal to that of 1989. The biggest problem, according to the Parliament, is that the budget deficit in the EU is becoming structural and that is forbidden in the Treaty. Ivailo Kalfin recalled that in 2010 the deficit was 6 billion, in 2011 - 11 billion and in 2012 - 16 billion euros. It is not yet clear what the gap will be this year but for sure it will be bigger, the left-wing deputy believes. The reason, he said, is that the money was saved by the governments in the previous years. The deficit in 2012 caused tensions between Sofia and Brussels. In an interview with the Bulgarian national daily Standard, the then Deputy Prime Minister and Minister of Finance Simeon Djankov announced that Bulgarian pensioners would receive Christmas bonus payments if the European Commission did not delay the payments under the structural funds. Bulgaria expected t receive some 400 million euros for completed projects the payment for which was delayed because of the gap that opened in the Budget for 2012. The Commission reacted sharply saying that there was no link between the Christmas bonuses for pensioners and the EU funds. The decisions for social payments fall under the exclusive competence of the national authorities and do not depend on the payments the Commission does on the EU funds, the EU executive said in a statement. Simeon Djankov, however, insisted that there was a link and explained that with EU programmes the advance payments were made from the fiscal reserve which was reflected in the budget as a deficit on a cash basis until Brussels reimbursed the money. In the voted by the European Parliament resolution, is also condemned the lack of transparency in the way the political agreement was reached by the leaders. The Parliament puts several conditions for the future negotiations with the Council, among which to ensure a maximum flexibility of the budget and an obligatory mid-term review to allow the next Commission and Parliament that will emerge after the European elections in 2014 to define the priorities for spending. The Parliament is again raising the issue of own resources which was rejected on the very initial stages of the negotiations on the framework. 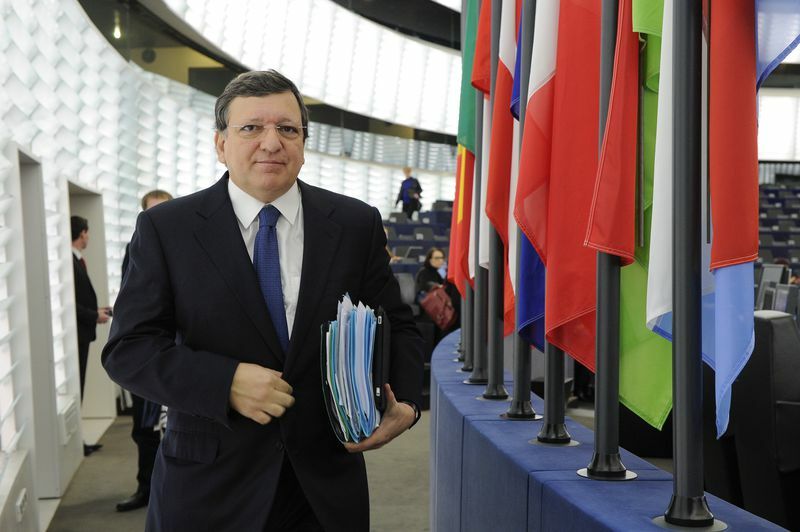 Before the voting in Strasbourg, there was a several hours long debate in which took part European Commission President Jose Manuel Barroso and Lucinda Creighton, a minister of European affairs of Ireland which currently holds the Council presidency. 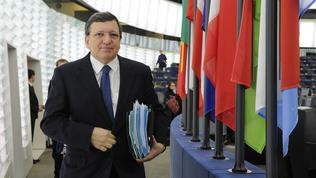 Creighton recalled in the beginning of the debate that Europe currently needed to show it can do business. Society will not thank us for the institutions not being able to plan, legislate and deliver on European programmes. The chief of the group of the European People's Party, Joseph Daul (France), pointed out that the crisis will not be endless which is why it is necessary to include a clause in the budget that will allow the newly elected in 2014 parliament to revise to what extent the objectives of the framework will have been achieved and what can be done with it. 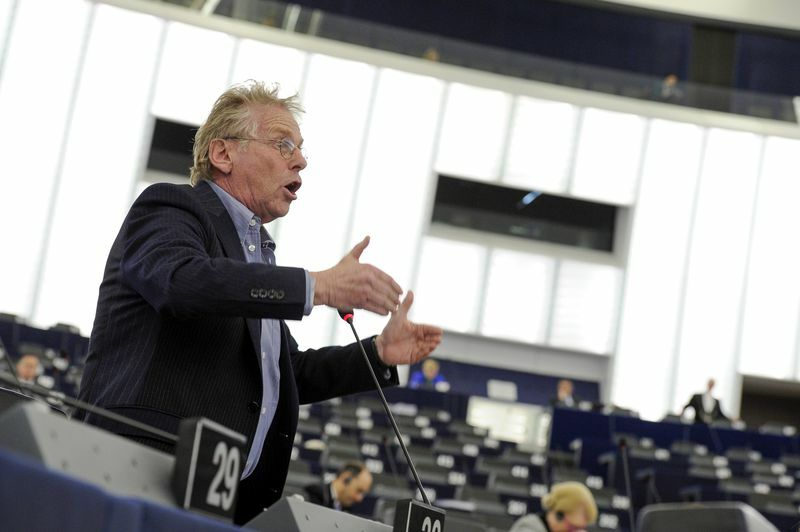 Daniel Cohn-Bendit, co-chair of the group of Greens/EFA, called on Barroso to oppose the leaders and refuse accepting their proposals. 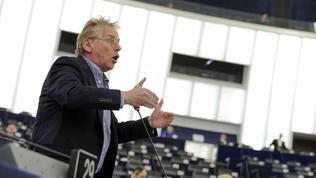 He said that the MEPs are not conductors of their governments and national parties. This is not why our voters elected us, he added. Martin Callanan (Britain), leader of the group of European Conservatives and Reformists, defended the framework saying the deal was not perfect, but it should reflect the realities. It is necessary the framework to respect the sacrifices everyone is bearing. On behalf of the United Left, Gabriele Zimmer (Germany) pointed out that the EU has been polarising - every member state is fighting for itself. If a coalition is built its members are being bought with EU money. She announced that her group would not support the deal. 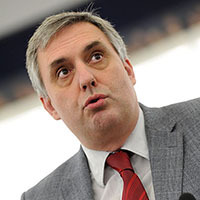 The chief of the budget committee in the European Parliament, Alain Lamassoure (France), described yesterday's decision as a "baptism of fire" for the European Parliament. The negotiations will be long and tough because the Parliament now has legislative powers which the Council has deliberately ignored. He added that during the negotiations the Parliament will review the deal very carefully and will seek where changes can be made in the distribution of funds. In spite of the reduction of the budget for agriculture by 11%, some countries have received an increase. It should be seen whether this is justified and what criteria were used, Lamassoure said. The same goes for the cohesion policy where, too, some countries will get more and others less. He hoped that the negotiations will end by the summer. The reaction of the leaders is expected, who gather for their spring European Council on Thursday and Friday in Brussels, when a major issue will be economic policy.